April 18 , 2018 - April 24 , 2018 DONE!! April 25 , 2018 - May 01 , 2018 DONE!! May 02 , 2018 - May 08 , 2018 LIVE!! The Licerio team reserves the right to remove anyone from the bounty campaign if any kind of suspicious or dishonest activity is detected. The Licerio team reserves the right to accept or decline any participation request. The Licerio team reserves the right to stop any campaign or limit the amount of participants. The Licerio team reserves the right to lower / increase / change the amount of token allocation at any given time. The main purpose for this campaign is to allow users from all over the world to read about LICERIO in different languages removing the geographical barrier. For every thread translated and moderated a 5,500 LCR tokens reward and for every whitepaper translated 8,500 LCR tokens will be rewarded a total of 14,000 LCR (equivalent to 2+ ETH ), there are different requirements to be followed in order to get the reward. It is needed to translate the complete ANN Thread and translate our Whitepaper document located at www.licerio.org. 1. You will need to translate the LICERIO Announcement found here on Bitcointalk Forum in your language and proceed with applying the translation. Please make sure that the new thread will be opened under the correct language and category so that it won’t be erased by the forum administrators. The main activity is to create the thread and maintain it alive and fresh by posting regularly, keeping it relevant and attractive. You should be responding to people, engaging and supporting the community, maintaining an active role and keeping up with the updates of our project on Social channels, Telegram, Website and English Announcement thread. 2. You must sustain the announcement thread until the end of our ICO. 3. Minimum number of posts per week is 2. If you fail this goal, you will receive an up to 75% reduced number of LIC Tokens. 4. Do not start work unless officially accepted by us! If you are accepted as an announcement thread moderator, you must announce the project within 72 hours of delivery of the translated materials to qualify for Bounty Rewards. Whitepaper translation must be finished up to 5 days full. 5. Newbie and Junior Members are not accepted for this campaign. DO NOT proceed with translation unless explicitly instructed to through a private message. Spreadsheet: CLICK ME FOR THE SPREADSHEET! The amount of LIC Tokens to be awarded depend on the number of followers. NOTE: Accounts with more than 10,000 followers will be rewarded with a 50% bonus. 2. The twitter audit needs to be >85%. 3. Like & Retweet at least 3 posts per week from LICERIO account. 3. Your account must have at least 500 real followers. 4. You should retweet only a post that is no older than one week. 5. Only 1 post can be retweeted per day. 6. 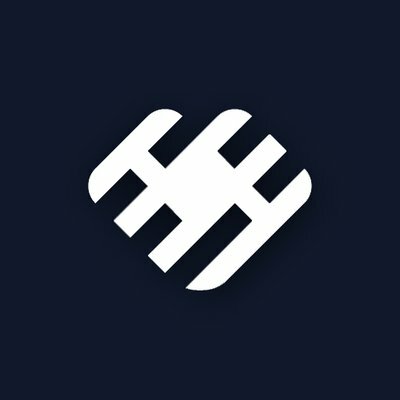 If there's nothing to retweet please do make an unique tweet about LICERIO its website link. Participants can earn 50 LCR tokens by joining the group. 1. You must remain a member of our Telegram Channel until the end of our ICO. 2. Token distribution will commence some time after the end of the ICO. 3. All participants' applications and entries will be kept private. Feel free to proceed with registering by clicking HERE. Once that's done, join our Telegram Channel. This is a weekly campaign. All you need to do is change your Telegram username and profile photo. Participants will earn 150 LCR Tokens per week. 1. You must update your Telegram username to "Your Name | LICERIO.org Ambassador". 2. You must replace your profile picture with this one. 3. The LICERIO Team reserves the right to withhold tokens as they relate to articles/blog posts if they feel the post is inaccurate or misleading, or if the post is deemed not to have an audience. Feel free to submit your made article or blogs here with your information: HERE. This campaign is for any special media coverages or news agencies/large organization.